Home Twenty Questions An Exclusive Interview, with Ellen and Kurt of Worldwide Groove Corporation! An Exclusive Interview, with Ellen and Kurt of Worldwide Groove Corporation! 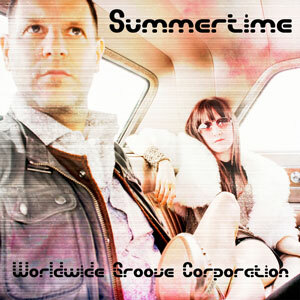 Worldwide Groove Corporation is Nashville’s downtempo electronic music power duo. The work of Kurt Goebel and Ellen Tift, has been used in films, on national TV ad campaigns, in major network TV shows, and discussed at international arts festivals. 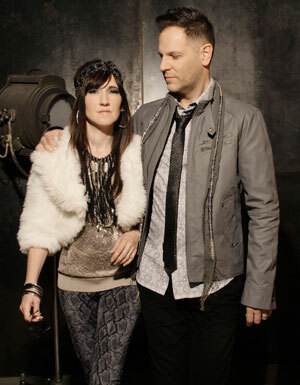 Their string arrangements have been featured on records for artists such as Third Day and Plumb, and they are known for their talent of reinvention which is evident in their classic country remixes and their treatment of old jazz standards on their 2007 record “Fever: Chillodesiac Lounge, vol. 1”.WGC are right in the middle of putting out one new chillout, downtempo, or electronic pop release a month for at least a year. What they call the “Year of the Groove” began on July 17, 2014 with the release of two different singles in one week, “Summertime” and “Come to Me”. In addition WGC are now making available instrumental stems of some of their releases for remixers to have their way with, and have also begun a series of “Behind the Groove” videos on YouTube, telling the story behind their work. If any of this grabs your attention, be sure to subscribe to their email list for special privileges and free downloads! And DJs check out their DJ Perks section for free downloads. Here, after the video, follows an exclusive interview, where both Ellen and Kurt give us a clear and deep insight into what plucks the heartstrings of their music and the music industry in general. 1. How long has the Worldwide Groove Corporation been going and how did you get started in the first place? Ellen Tift: Kurt and I met when we were both getting the same Master’s degree at the University of Miami. Kurt graduated a year before I did and moved to Chicago where he was a full time composer for a gaming company up there. After I graduated, I moved to Nashville. Two years later, Kurt moved to Nashville and we started working together for a few years before we officially incorporated in 2001 as Worldwide Groove Corporation. Our first true collaboration was doing jingles for bad local market TV commercials for businesses around the country. It wasn’t the coolest work, but it paid a lot of bills and fine-tuned our production chops for bigger and better things. Kurt Goebel: We actually started collaborating on some regional jingles years before we even considered doing an artist project, but we’ve both been involved in music since our early childhoods. 2. I know you both have many influences, but who were your very first musical influences that you can remember? Ellen Tift: The first time I recall getting completely absorbed in listening to music was when I was a kid and heard the album that Linda Ronstadt did with the Nelson Riddle Orchestra. I absolutely loved the big band arrangements and the old jazz standards. I have no question that influenced me tremendously, as it was big band arranging that inspired me to go to graduate school and study music production, orchestration, and arranging. Kurt Goebel: In terms of my instrument, which is piano, I studied classical piano all thru my childhood and into college. I always really liked Chopin, and Debussy’s music has such imagination….you can practically see the colors and different shades in his compositions. In my later college years I went through a Chick Corea/Dave Weckl phase, as well as Bruce Hornsby. In terms of production, I remember listening to Yes’ 90125 on vinyl on my dad’s headphones. Trevor Horn’s production was light years ahead of most of the production out there, and continued with Seal’s first record. Those records still hold up in my opinion. 3. Which artists are you currently listening to, and is there any one of these you’d like to collaborate with? Ellen Tift: I’ve been getting into Kimbra lately. Her song “Come into my Head” has magical powers. If I even try to picture what it would look like to collaborate with her or any of my other favorites like Sia, Ellie Goulding, Imogen Heap, [too many to list], my brain can’t even process it. I’m not worthy! Kurt Goebel: I really like the more musical artists on the EDM scene, like Kaskade and Morgan Page, where these guys are still actually songwriting, and it’s not just about the production. I’m also a big fan of Govinda and the Bombay Dub Orchestra. Live strings are always so amazing. 4. Both of you have a Master of Music degree (among other academic achievements). A rare distinction, in a genre overflowing with ready-made samples, loops and computer-induced arrangements. What attracted you most towards this genre? Ellen Tift: Given our skill sets and our listening habits, this is the genre that we naturally fall into. I was into downtempo before I even knew what downtempo was called. Sade was in heavy rotation when I was younger. Of course, I love to listen to music in many other genres. But when Kurt and I work together, this is one of the musical places we intersect. But it’s not all we do. It’s just what we’ve branded as WGC. We actually have done many other types of music together as well. Kurt Goebel: The funny thing about having a higher education in music is that in that world there is a lot of really amazing, and complicated music. Frankly, sometimes I feel like it’s made for your peers, and doesn’t have much relevance outside of academia. If a song only needs, or has a few chords, but still moves you, still evokes an emotion, then so be it. In a world of overstimulation, and such fast paced chaos that so many of us live with, the downtempo genre is a nice respite. 5. Considering how music production has evolved, and with the current technology allowing just about anyone to put together a logical arrangement, without understanding a single thing about music theory, would you still recommend growing artists to study music theory and why? Ellen Tift: ABSOLUTELY!! Even if I only speak to the spirit of someone who is a true creative type of person, nothing can replace the process of being able to take what resides in the depths of your soul and translating it into a form that others can experience. One of the lifelong endeavors we creative types have is to get better and better at being able to express ourselves in whatever medium we have learned. Knowing the nature of chords, and how different notes or scales or modes can affect the emotions of the listeners, and being able to effectively use those characteristics in your music can only make the entire process more fulfilling and the results more excellent. And I’m not even talking about trying to make a living in music. If you’re planning to write for a client you absolutely have the advantage if you understand music theory. The industry is so competitive; I can’t imagine trying to do legit “music for hire” work without knowing theory. Kurt Goebel: Yes PLEASE! We don’t need any more button pushers out there. Study an instrument, learn harmony and theory. It will only help you be more creative as you fully understand how to construct music. 6. With both of you obviously being competent, how do you share performing, composing and arranging duties on your songs? And when there are creative differences, who ultimately, has the final say? Kurt Goebel: I handle most of the programming, and all the mixing, as well as playing live guitar, bass, Rhodes, wurly, synth etc. Ellen is really great at arranging and composing, and her nickname has become the “muter” as she often mutes half of the parts I’ve constructed lol. She also writes all the lyrics on our originals. If we have creative differences, we usually come to a mutually agreeable solution. Sometimes the things we nit pick over would never even be discerned by the average listener so in the big picture, those things don’t really matter. It’s not worth arguing over. 7. Tell us something about your songwriting processes. Do you lock yourself up in a room and technically ‘work at it’ or do arrangements ‘materialize’ while you’re busy doing other interesting things? Ellen Tift: Definitely the latter for me. I have started to believe that there is a force in my soul which I shall refer to as “the muse”. The season I’m currently in, with parenting and home schooling and teaching at the university, and all of my other involvements, has forced “the muse” to persistently whisper songs into my thoughts as I go about my day. I’ll be doing something and an idea will pop into my head and I need to document it ASAP before I forget it. My phone is filled with dozens of voice memos and I’ve got random slips of paper with hand drawn staffs and melodies jotted down. The songs I end up writing to completion are the ones that simply won’t ‘not be written’. They’re the songs that I’ve heard hundreds of times in my head as I cook and drive and walk across campus, before I actually sing them out loud and hear them with my ears. This isn’t to say I don’t have to work at things. I work very hard fine tuning my lyrics and working out my melodies and song structures. But the ones that end up being finished to completion are the ones I can’t ‘not write’. Because “the muse” won’t leave me alone until I do. Kurt Goebel: For me, inspiration usually comes while I’m playing an instrument…it’s sparked by a tone, a riff, a beat or some musical device. Occasionally I’ll hear grooves and chord movement while I’m out on a run and can just have some time to think. 8. On which one of your songs do you personally think you delivered your best performance so far, from a technical and emotional point of view? Ellen Tift: Our new single “Come to Me” feels like that to me, of the songs we’ve released so far. Lyrically, it was very true and cathartic and healing to write. And vocally, it’s got a range of 2 octaves and a 5th when you count my harmonies, so that’s definitely the most I’ve vocally done on one of our own recordings. I count this among my most important work for sure. Kurt Goebel: Ellen’s vocals on Besame Mucho are awesome. Her delivery is so smooth and effortless on that song. It’s like “butta.” I also really love the strings on Midnight in Venice. That song was a major struggle in terms of figuring out how it needed to be produced, but it finally came together. 9. Kurt, you’ve done work in various mediums from writing music for pinball machines to composing and producing music for advertising. How is the creative process different for you when you’re working for a client versus working on your own music? Kurt Goebel: I recently composed the score for a Samsung commercial that had a world cup theme. The creative on that was to stay out of the way of the sound design. The commercial showed Messi, the world’s most famous soccer player, running thru a villa dribbling the ball, while being chased by masked men riding dirt bike style motorcycles. The spot was all about the sound of the ball, and the motorcycles. In those instances, you’re working against picture, which dictates tempo and arrangement. So in some sense, your choices become easier because you know you can’t write anything that’s going to sit in the frequencies or sound band of the motorcycles engines. I ended up recording me doing quick inhales and exhales, as well as me bouncing and slapping a soccer ball. Those were then chopped up in Maschine and became part of the “drum” track. So depending on your point of view, writing for a client can be easier because you’re working under a preset list of guidelines. The flip side is anytime you’re dealing with creative people who don’t speak the language of music, the revision process can be painful. When we’re working on our own record, we have such freedom which is really a breath of fresh air. 10. Ellen, apart from being in Worldwide Groove Corporation you teach music composition at Belmont University, do other music work, do comedy shows, act in indie films, write sketch comedy, garden, home school your child, and educate others about the dangers of eating genetically modified foods. Just how do you manage to divide up your day? 11. Kurt, to give readers and fans a better insight into how you achieve your sound, could you tell us something about your current hardware / software setup? Kurt Goebel: I’m running Logic 9 on a Mac Pro 8 Core. We also have Ableton Live 8 with the APC40 controller. Tons of Waves plugins and Sound Toys as well are put to use for mixing. Softsynth wise we’ve got of course all the built in Logic instruments which are really solid, as well as Omnisphere, Trilian, Stylus RMX, Maschine, Korg Polysix and Monopoly, Vanguard, and all of the Native Instrument’s stuff from Komplete. I also have Toontrack’s Superior drummer with a bunch of expansion kits. Within the last year or so I purchased VEP Pro which is a host program which will run synths and plugins. I use that to host the Cinematic String library. Logic runs more efficiently if the strings are running in VEP. In terms of hardware, we’re using some vintage analog stuff which is really fun. We have a Wurlitzer electric piano and a Rhodes 88 note suitcase model with the stereo tremolo. Both the wurly and the Rhodes have been used quite a bit on the new tracks. On the synth side, we’re using a Roland Juno-60 with the MD-8 DCB to Midi box so we can sequence parts from Logic. We’ve still got Ellen’s Roland JX-8p that she’s had since she was a teen, as well as my Korg Poly-800 that I pulled out of storage recently and it still works! Also the Moog Slim Phatty is making it’s debut on the new tracks, and the Virus Ti module is of course an incredible machine that we’ve had for several years now. The Yamaha Cp-33 is my weighted action controller, and Novation’s Remote SL37 is used for bass and synth duties. In terms of outboard gear we still have our UA 2-610 pre, and have used the Manley Vox Box, and Martech Mss-10 preamps as well on the vocals. Compression wise we’re using a distressor EL-8, the purple audio MC-77, Tubetech CL-1B, and the Alan Smart C2 mix buss compressor. 12. Which aspect of being an independent artist and the music making process excites you most, and which aspect discourages you most? Kurt Goebel: Having the freedom to make our own choices aesthetically. The downside is, you are your own label, PR, etc. 13. Both of you are involved in personal projects outside of the “Worldwide Groove Corporation” project. Is WGC destined (or aspiring) to become a primary project or will it simply remain one of your projects? Ellen Tift: I don’t think either one of us aspires to make the artist aspect of WGC all that we do. At least not long term or any time soon. For me, I thrive on variety and I absolutely LOVE teaching at Belmont. Plus, this wouldn’t be the season for trying to tour. It’s important to be able to tuck my child in bed every night and be the kind of mom he needs. I’m his only mom, and he’ll only be young for a short time. No regrets. Kurt Goebel: I really like doing lots of different things from programming on other projects for other artists, to composing for commercials, writing pop songs, and performing. I think all those things influence each other in terms of your process and choices you make. I’d like to see WGC’s own music become a more substantial part of the income pie, and eventually it would be fun to do some targeted touring if it makes sense. 14. Have you ever questioned your choice of music as a career? Ellen Tift: Philosophically speaking, I’m sure I’m not the only musician who has pondered whether their skills are a necessary part of society. When you see people in crisis and fighting for their lives, the idea of making music seems pretty trivial when other people actually save lives with their actual hands. Yet, I also realize that music is essential for our human souls, so at the end of such internal monologues, I remember that the music makers, the comedy makers, the people who create beauty around us, these people are all essential. Can you imagine a world where someone going through a great trial can’t distract themselves with something whimsical or lovely? Or find connection and understanding in a song lyric that expresses their struggle for them in a way they could not otherwise? It is absolutely essential to our humanity. And so I consider it an honor to be a music maker. Pragmatically speaking, music is a terrible career choice for someone who simply wants to make a stable income in 40 hours a week and support their family. Whether it’s a blessing or a curse, I am a true creative type of person, and I could not function in a career that wasn’t somewhat creative. Of the creative options, for me it would have been music or acting. Music, songwriting in particular, is a rather family friendly career if you’re not on the road, which I am not. I can write songs in my head as I lay next to my child and rub his back at night. I once wrote a song for a client with nothing but a pencil and one sheet of staff paper while I sat in the bouncy castle place while my child played. So yes, I most certainly have questioned it, numerous times, but I always come back to the same conclusion… it was the best choice for the kind of creature I am. I need to create music to feel happy. Kurt Goebel: No. I’ve wished for different circumstances, but I’ve never questioned it. I stared playing piano when I was 4, studied it all the way through my undergraduate years, then finishing with my Masters of Music degree. I always knew that this was the gift I’ve been given, of music, and I’ve worked hard to develop my skills so I can be versatile enough to keep it going. There may come a point in my life where a change is dictated, but for now it’s full steam ahead. 15. At this point, as independent artists, is there any aspect or element you consider exclusive to Major label artists that you desire and feel will undeniably benefit the “Worldwide Groove Corporation” project? Ellen Tift: I can’t say I’m longing to be on a major label. There’s a lot of debt that artists incur when they sign a record deal, and a lot of creative control they give up as well as ownership of their intellectual property. So, at this point, that doesn’t really appeal to me. Kurt Goebel: The reality is we’re not “major label” artists in the traditional sense. Frankly the downtempo genre is not a major label asset IMHO. Artists like Deadmau5 and Skrillex who are doing the “now” sound of EDM, they stand to benefit from the push of a major in terms of promotion and live events where there’s revenue sharing. As independent artists, it’s more about building our fan base from the ground up. In my opinion, we could stand to gain from some sort of partnership with say a lifestyle type brand, where there is a “band and brand” connection, but I don’t think we need a label to facilitate that. 16. Do you consider Internet and all the new social media technology, as fundamental to your music, or do you think it has only produced a mass of mediocre copy-and-paste artists, who flood the web, making it difficult for real talent to emerge? Ellen Tift: I think social media is necessary to indie artists. I have gone through the process of promoting an indie release before social media existed, and it is certainly much more possible now to connect with an audience now that we have social media than before. I don’t even think about other people’s mediocrity being a problem. I’m just doing my thing and praying it “sticks” somewhere, and that I’m not too obnoxious to the people around me as I promote our work. Kurt Goebel: I see this as two questions. I think the internet and social media are absolutely fundamental to our music as it’s the vehicle to get the music out there. The copy and paste mediocrity that’s out there is a result of the advancements of software and hardware. The same thing is happening in design work, film, and photography. Everyone has an iphone and can shoot HD so now everyone’s a filmmaker. 17. The new technology has completely changed the way we approach the music media. Today we digitally download almost anything, legally or illegally. Which was the last physical CD or Vinyl album you actually purchased? Ellen Tift: HAHA! Honestly, the last time I recall purchasing a physical CD was when we were in New York City and realized we didn’t have one of our CDs to give to someone in a meeting were going to, so we had to go to Bergdorf Goodman and pay $20 for one of our own CDs. Other than that, I cannot recall what CD I would have purchased. Now I feel sad. P.S. I could go on and on about how many times people have downloaded our album illegally and it used to give me an ulcer, but now I’ve grown [almost] numb to it. Sadly. Kurt Goebel: Honestly it’s been so long I can’t remember. The last CD I purchased was probably a film score soundtrack in the mid 90’s. Might have been from the movie, The Fugitive. I needed some references because I was scoring a CD-ROM game. I’ve just dated myself lol. 18. What is the idea behind the monthly music releases for at least a year, and then the YouTube series “Behind The Groove”? And which of you will be doing what? Ellen Tift: The once a month release is for many reasons, the main one being, this is probably the only way we will ever finish and release anything. It’s been 7 years since we put out our album, and we’ve been working on more music this entire time. But since we have other paying music work for clients, that always pushes our own music aside. If we have a monthly deadline, that forces us to get the dang thing done! Plus, it’s a way of maintaining a consistent presence online, which we’ve not done in a long time. And so we begin “THE YEAR OF THE GROOVE!” One new release a month for at least a year. It’ll be either a song or EP, and eventually a full album or two with variations of our work. If we release just one song, it will be available as an instrumental track also, and the individual instrumental stems will be available for remixers too. I hope to have a remix contest further down the road as awareness builds. As for who will be doing what, pretty much anything on the internet and all social media is my work. The “Behind the Groove” videos are simply a way of sharing our story and process with those who might be interested, and increasing our online presence. I’ll be doing the videos that talk about songwriting and the creative process, and Kurt will be doing videos that show the technical side of creating the tracks. We also plan to do a series called “The Groove Diaries” where we both simply tell stories of our experiences in the music industry and the work of being an indie artist. There are some things people would never guess are par for the course in the industry. Kurt Goebel: I’ll be making some “Behind The Groove” videos about the production process and more of the tech side. Hopefully people will find it interesting. There are a lot of gear heads out there! I should know, I’m one of them. 19. You refer to your mailing list as your “favorite people” list and offer the members special perks. What are the advantages to joining and what do you do for DJs? As for the DJs, we have a section of our site called “DJ Perks” to serve as a portal for them to access free downloads of our releases. We are trying to make it as user friendly as possible. Kurt Goebel: Free smoothies lol…and free stems for remixers. 20. Though I notice you have already won some major awards, including one from Billboard, is going Platinum or winning a Grammy important in your scheme of musical things? And if you were forced to settle for only one choice, which of the two would you ultimately prefer and why? Ellen Tift: The overachiever in me loves awards, and though the thought of winning a Grammy seems irresistible, the honest truth is, I’ve known people who have won a Grammy or two, and they’re still scrambling for work alongside the rest of us. It’s fun and creates hype for a few days, and it’s always part of your legacy after that, but tangibly, it doesn’t solve your problems. Going platinum would be pretty great, considering the climate of the music industry. But bottom line, I’d just be happy with doing excellent work, earning the respect of my peers, feeling creatively fulfilled, and making enough money to take care of my family and put my kid through college. And if someone out there resonates with something I’ve written and calls themselves a “fan”… BONUS. Kurt Goebel: We have friends who have won Grammy’s and frankly, while it’s an incredible honor, at this point in the game it doesn’t buy you as much advancement career wise as you would think. I’d rather go Platinum because that would mean we’ve gained something monetarily. I’m sure there are some situations where earning a Grammy doesn’t equate to big sales, but I’d be glad to receive either one! 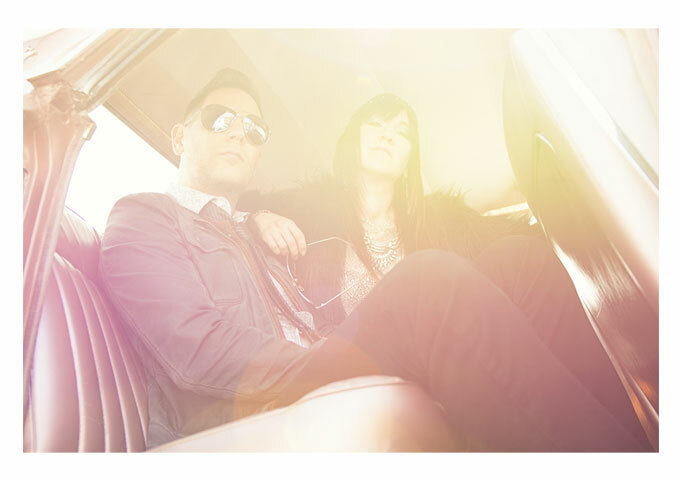 Kashkao: “No.1″ is a Freaky, Funky, Hard-Rocking Blast of Acid-Mangled Soul Pop! I really enjoyed reading this interview. I met Kurt when he was 14 years old, playing an outstanding classical piano. I was pleased that he became a close friend of my son’s, As an adolescent, Kurt was obviously very gifted . As an individual. he was also honest and just a kind and good person. I am so happy that he and Ellen are accomplishing so much as artists. I can see that Ellen is a great mother too.